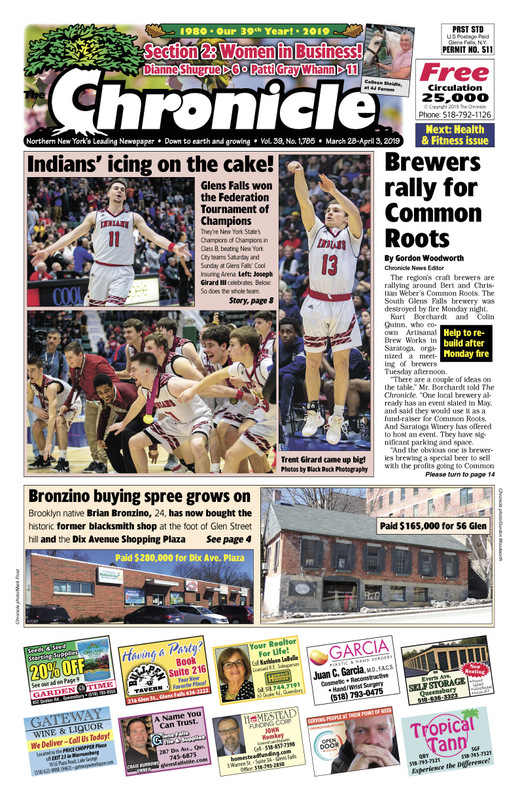 Women in Business issue | Glens Falls Indians icing on the cake! Brewers rally after Common Roots fire. Bronzino buying spree continues. Neighbors cite water issues in homeless apts. plan on Cooper. ‘Rally for Reggie’ as newlywed, 32, battles rare brain cancer. Sunnyside Par 3 grand re-opening. Glens Falls unfair tax assessments. ‘Hot!’ Bands n Beans moves to Ft. William Henry. Concerts, comedy, shows… The Chronicle always has the region’s best Arts & Entertainment section!